In a large pot or Dutch oven heat olive oil over medium high heat. Add sausage and sauté to brown, about 5 minutes. Pour in chicken or vegetable broth and add oregano and red pepper flakes. 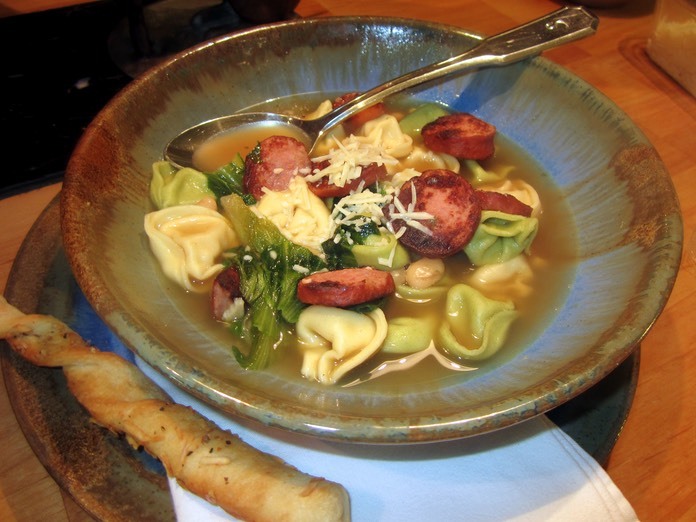 While the tortellini cooks, add escarole to soup pot. Stir in cooked tortellini and taste for salt and pepper.